Just released: First Annual Evaluation of IHHP: the Full Report. Authored by Dr. Kelishadi, a pediatric cardiologist with a vast background in child health issues, this book is a veritable encyclopedia of child nutrition and care at different stages of life. It encompasses a wide range of topics and including healthy cooking, nutrition in disease, and healthy nutrition to prevent chronic diseases. The book is backed by a 350-strong list of healthy food recipes. It is supplemented by a multimedia CD which among other things, addresses growth patterns, BMI calculation, and methods of helathy cooking. Objective: Providing healthy recipes for CVD patients and all those interested in the concept of CVD prevention. In a bid to overcome food monotony, this book offers 300 healthy food recipes to choose from. 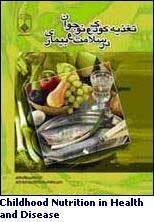 The book also provides information on healthy cooking methods. Every recipe is supplemented with a table of ingredients. ►Kitchen staff of restaurants, caterers and boarding services. 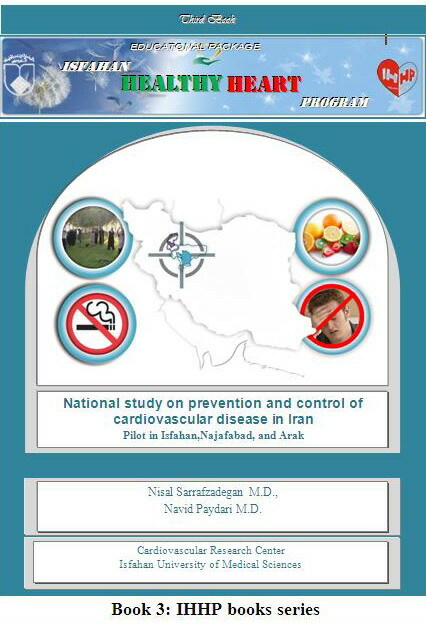 Effective actions and strategies in prevention and control of noncommunicable disease in Iran. Sarrafzadegan N. M.D.,Bahonar A. M.D.Kelishadi R. M.D. review the goals,strategies ,and implementation of the IHHP interventions in Health care system. This book contain of two parts.The first is about the different phases of the IHHP and in the second one, the integration process of the IHHP was defined.This book was published in 2008 september (268 pages). in this book (Known as the 2nd book)Sarrafzadegan N. M.D. & Alikhasi H. reviews plan,evaluation,and implementation issues in design & development of the IHHP in brief. This book was published in 2008 september (89 pages). This package consist of the IHHP 3rd book and it`s complimentary compact disc which authored by Sarrafzadegan N. M.D.,Paydari N. M.D. and ..., including theoretical aspects of the community based study, background issue and details of the IHHP study . This package could be used as a useful and practical Guide in design and development of community based study especially in under-developed or developing country setting. Developed countries have been implementing interventional programs based on proper nutrition, appropriate physical activity, Tobacco control and stress management, in this way they have controlled these disease in their communities. An interventional program for prevention of NCD called “Isfahan Healthy Heart Program” has been implemented since 2001 in Isfahan and Najafabad, which involve not only CVD but also hypertension, diabetes, obesity, hyperlipidemia and cancers. This community-based interventional project has made an effort to prevent increasing rate of NCD through increasing the knowledge of the population about healthy nutrition, physical activity, cigarette cessation and stress management methods. Due to the high prevalence of illiteracy in older people in Iran, Literacy Movement has been established; this organization is responsible for education of illiterate or low educated population. These publications arean effort to increase not only the readers' knowledge,but also provide them with general informationabout NCD and healthy lifestyle. Introduction, Pathophysiology, Treatment, Prognosis . Prinzmental Angina: Introduction and Treatment. 5. Role of Nutrition in Control and Prevention of Diseases: Role of Nutrition in the Treatment of Obesity, Role of Nutrition in the Control of Diabetes mellitus. 6.Hyperlipidemia: Introduction, Hypechoclesterolemia, Hyperlipidemia, Factors of Hyperlipidemia, TG, Non-medical Treatment (diet, exercise), Medical Treatment. 7.Hypertension: Introduction, Classification of Blood Pressure, what is the measuring Blood Pressure, Treatment (Medical and non-Medical). 8. Stress:Introduction, Definition of Stress, Stress Management, Complication of Stress, Kinds of Stress, Stress and Cardiovascular Disease, Stress Reducing Methods Stress Management. 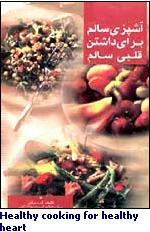 •Sarraf-Zadegan N, Sadri Gh, Malekafzali H, Baghaei B, et al. Isfahan Healthy Heart Program: A Comprehensive Integrated Community-Based Program for Cardiovascular Disease Prevention and Control Design Methods and Intial Experience. Acta Cardiologica 2003; 58(4): 309-320. •Kelishadi R, et al. Obesity and associated modifiable environmental factors in Iranian adolescents: Isfahan Healthy Heart Program- Heart Health Promotion from Childhood. Int Pediatrics, 2003; 45(4): 435-42. •Roohafza H. Sadeghi M. Distribution of cardiovascular disease risk factor by educational levels among Iranian adults: IHHP. Medical Journal of Malaysia. •Kelishadi R, et al. Fat intake and serum lipid profile in Iranian adolescents. Prev Med. •Sadeghi M, Roohafza H. Serum lipid distribution and prevalence of dyslipidemia in urban and rural communities in Iran- IHHP. Medical Journal of Malaysia. •Sadeghi M, Roohafza H. High Blood pressure and associated cardiovascular risk factors in Iran: IHHP Annals of Saudi Medicine. •Kelishadi R, et al. Smoking, Adolescents, Health. Isfahan Healthy Heart Program. Heart Health promotion from childhood Asia Pacific J Pub Health. •Sadeghi M. Blood pressure and associated cardiovascular risk factors in Iran: IHHP. Med J Malaysia, 2004. •M.Saidie,K.Rabeie, R.Kelishadi,M.Sadeghi.The association of leisure time physical activity , watching television, obesity & lipid profile in an Iranian population.Pak J Med Sci.2005;21(4):476-481. •Akhavan A. Hypertriglycramic waist in women. Obesity Research Journal. •Sadeghi M. Diabetes and associated cardiovascular risk factors in Iran: Isfahan Healthy Heart Program. Pakistan Journal of Cardiology, 2004. •Sajjadi F, Mhohammadifard N, et al. Clustering of cardiovascular disease risk factors in patients with type II diabetes and impaired glucose tolerance: Isfahan Healthy Heart Program. Medical journal of Malaysia. •Sarrafzadegan.N .Metabolic syndrome emerging public health problem in Iranian women. •Mohammadifard N, Sarrafzadegan N, Sadri Gh, Malek Afzali H, et al. Isafahan Healthy Heart Program: A Comprehensive Integrated Community-Based Program for Cardiovascular Disease Prevention and Control. Design Methods and Initial Experience 2000-2001.J of Isfahan University of Medical Sciences. 2002; 7(1): 1-8. •Mohammadifard N, Sadri Gh, Sarrafzadegan N, et al. The prevalence of cardiovascular risk factors in rural and urban population of Isfahan and Markazi provinces. The journal of Qazvin Univ of Med Sci 2003: 26(2); 5-14. •Alikhasi H, et al. relationship between the kind of protein in take and CVD's risk factors. The journal of Qazvin Univ of Med Sci 2003: 26(2); 71-78. •Boshtam M. Isfahan Healthy Heart Program- Worksite intervention Project- Executive and operational stages. The journal of Qazvin Univ of Med Sci 2003 : 26(2);79-84. •Gharipoor M. The prevalence of obesity and CVD risk factors in Isfahan The journal of Qazvin Univ of Med Sci 2003: 26(2); 53-64. •Akhavan Tabib A et al. Obesity in Iran: Isfahan Health Haert program. The journal of Qazvin Univ of Med Sci 2003: 26(2); 27-35. •Kelishadi R, Pashmi R, Sadri Gh, etal. Healthy Heart Program: Heart Health Promotion from Childhood project, The journal of Qazvin Univ of Med Sci 2003; 26(2):15-26. •Sadeghi M, et al. Prevalence of high blood pressure and its relation with other CVD's risk factors. 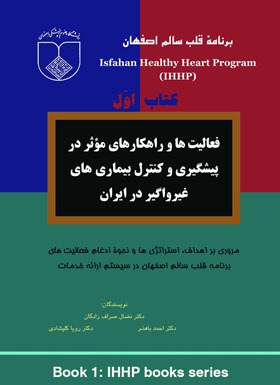 Isfahan Healthy Heart Program. The journal of Qazvin Univ of Med Sci 2003: 26(2); 46-52. •Roohafza HR, Sadeghi M, Emami A. Smoking in Youth Isfahan Healthy Heart Program. Hakim Journal 2003: 6(2); 53-60. •Hosseini, Sh. Baghbanian, P. Evaluating the predictive factors of morbidity and mortality of cardiac infarction patients in 28 days after the attack. J of Isfahan University of Medical Sciences. 2003; 8(3): 98-102. •Kelishadi R, Sadri Ch, Hashemi pour M, Sarraf-Zadegan N, Alikhassy H, Ansari R et al. Lipid profile of adolescents: Isfahan Healthy Heart Program Heart Health Promotion from childhood. The journal of Semnan Univ of Med Sci 2003; 4(3-4): 167-76. •Mohammdifard N et al. Abundance of CVD's risk factors, knowledge, attitude and practice of urban and rural areas of Isfahan , Najaf-Abad and Arak. 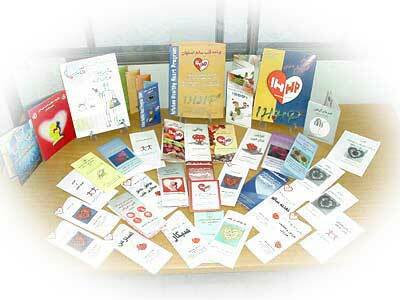 Results of Phase I of Isfahan Healthy Heart Program Journal of Qazvin Medical Science University. •Saidei M. The effect of physical activity of free times and watching T.V on atherosclerosis risk factors. Qazvin University of medical sciences. •Ansari R, Baghyii A, Khosravi A, Gharipour M, Kelishadi R, Khosravi E. A study of the prevalence of metabolic risk factors of cardiovascular disease in people with anthropometric obesity in areas of centeral IRAN (Isfahan Healthy Heart Program). J Isfahan Med. Sch. No.71, Winter 2004, Pages: 1-7. •Derakhshani R, Derakhshan F, Sabet B, Kelishadi R, Khosravi A. A study of the correlation between cardiovascular disease risk factors and obesity based on BMI, WHR and WC indices, Isfahan Healthy Heart Program (IHHP). J Isfahan Med. Sch. No.71, Winter 2004, Pages: 15-19. •Kelishadi R, Sadri CH, Amini A, Ansari R, Sabet B. Clustering of cardiovascular disease risk factors in adolescents. J Isfahan Med. Sch. No.71, Winter 2004, Pages: 63-70. •Roohafza HR. The relationship between cardiovascular diseases risk factors and socio-economical status. J of Isfahan University of Medical Sciences. •Sadeghi M. Studying the prevalence of serum lipid disorders. J of Isfahan University of Medical Sciences. •Shirani Sh. Effect of one year interventions on the knowledge of the population residing in the central area of Iran towards healthy nutrition. Journal of Shahrekord University of Medical Sciences, 2005. •Khosravi A, et al. Anti-hypertensive drugs consumption pattern in central area of Iran. Journal of Qazvin University of Medical Sciences, 2004. •Ansari R. Atherosclerosis risk factors in hypertensive male smokers, passive smokers and non-smokers in central area of Iran. Journal of Shahrekord University of Medical Sciences, 2005. •Ansari R. Trend of hypertension in Isfahan during 10 year. Journal of Shahrekord University of Medical Sciences. •Sadeghi M. Cardiovascular disease risk factors in Iranian women. Journal of Qazvin University of Medical Sciences. •Kelishadi R. Sadri Gh, et al. Cumulative prevalence of risk factors for atherosclerotic cardiovascular diseases in Iranian adolescents. Journal of Pediatric 2005. •Roohafza HR, Sadeghi M, et al. Assessment of cardiovascular's risk factors in Iranian young. Journal of Isfahan Medical School. •Ansari R, et al. Trend of hypertension and obesity in Isfahan city 1992-2001(IHHP). Armaghan Danesh Journal. •Sajjadi F, Mohammadifard N, et al. Clustering of cardiovascular disease risk factors in patients with type II diabetes and impaired glucose tolerance : (Isfahan 1381). The journal of Qazvin Univ of Med Sci. •Khosravi A. Trends in blood pressure level, prevalence of hypertension and its care in Isfahan.MJIRC, 2005. •Sadri et al. Cardiovascular disease risk factors in current smokers, ex- Smokers, passive smokers and non-smokers. J of Isfahan Med Faculty, Arya Journal. •Sadeghi M, Rooh Afza H, Imami A. Examination of serum lipids in 30 overages in Isfahan province. Journal of Isfahan Medical School. •Khosravi AR, Mohammadifard N, Shahrokhi Sh, et al. Medication used in hypertensive Patient in Isfahan Najaf-Abad and Arak. Scientific Journal Qazvin University. •Khosravi A, et al. Trend of hypertention in Isfahan Population drug 10 years. Journal of Isfahan University of Medical Sciences. •Rang Amiz F. The relationship of different jobs with the risk factors of non-communicable diseases: Isfahan Healthy heart program. J of Isfahan Medical School. •Sadeghi M, Roohaffza HR. Studying the prevalence of CVD's risk factors in woman. Yazd Shahid Sadoughi Journal. •Kelishadi R, et al. Obesity and overweight in children and adolescents, Journal of Tehran Medical University. •Hoseini Sh, et al. 3 years trend of trombolitic therapy's effect on the survival of patients with acute cardiac infraction. Yazd Shahid Sadoughi Journal. •Ansari R, et al. BASK of student, parents and teachers above of smoking in Iran, IHPP. Yazd University of Medicine Sciences. •Kelishadi R et al. Clustering cardiovascular disease risk factors in adolescents. J of Isfahan Med Faculty. •Sadeghi M. Prevalence of coronary artery disease based on the Rose Questionnaire. •Sadeghi M. Metabolic syndrome and hematologic disorders. Rafsanjan Journal. •Ansari R. Atherosclerosis risk factors in diabetic male smokers, passive smokers and non-smokers in central area of Iran. Journal of Boshehr University of Medical Sciences. •Akhavan A. Hypertriglycramic waist in men. Journal of Isfahan University of Medical Sciences. •Gharipour M, Kelishadi R ,Baghaie A.M, Boshtam M, Rabeie K.Prevalance of metabolic syndrome in an Iranian adult population according to the degree of obesity.Isfahan Healthy Heart Program. Two essays in Javaneha Quarterly published by the Welfare Organization. Educational leaflet for higher-school graduates. Leisure time educational leaflets for students. General pamphlets (1- Food Pyramid, 2- Heart Health for Adolescents, 3- Dad, Mom, Take care!). New-Year booklets (distributing 450 thousand New-Year booklets in schools at elementary (No.1 , No.2), middle, and high school levels, in Isfahan and Najafabad). How can we take care of our children's heart? Do you know the disadvantages of cigarette? Books and educational leaflets for therapeutic and health experts. Books for health and therapeutic workers. Books and educational leaflets for health assistants.